Hey guys! Welcome back to a new episode in The 4Geeks Podcast. Today we are talking about Blockchain, and it can be used to disrupt some industries. 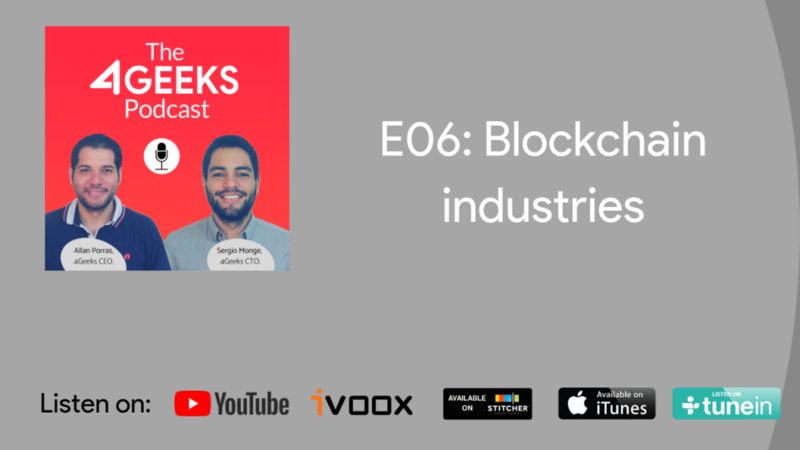 Banking, Supply Chain, Security, Insurance, Crowdfunding, Government, Health, Online Music and Real Estates are some industries that we talked about on this episode. Citi Coin, from Citi Bank. (“equivalent to bitcoin”). HSBC has made what it claims is the world’s first commercial trade-finance transaction using blockchain. Blockchain-based systems don’t have a single place to attack due to the technology’s basic principles, where each block is immutable and cryptographic. Fraud: $40B a year in loses for fraud, paperwork process increase fraud. Eliminate double booking, ownership and reduce premium division. Health insurance: records secured and shared between. Most of the time we don’t know where the money is. More transparency to manage citizen’s data. Easy to mapping available properties to buy, real time updated. Possibility to gain younger investors (equity fund).